When you’re a famously elusive artist who refuses to be identified, saying something with words (rather than pictures) is a rare occurrence. But just as Banksy’s art spreads in new and unconventional ways, so do his words. From the few short interviews he has given and the rare quotes that appear on his website, a few nuggets of Banksy wisdom can be culled. 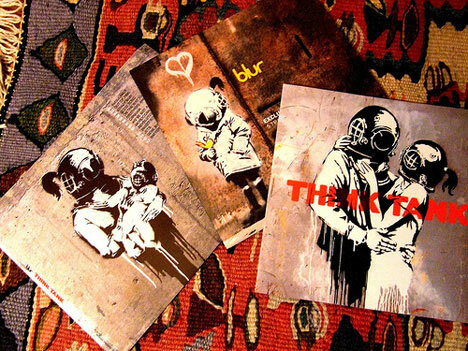 This is part six in our eight-part guide to Banksy Art and Graffiti. 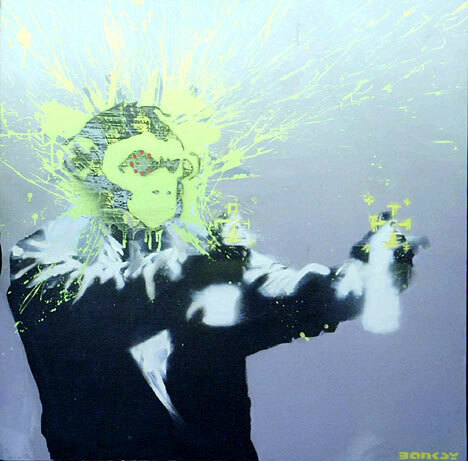 Banksy has been a very vocal opponent of the mainstream art world. As the quote above illustrates, he seems to feel that artists are little more than self-aggrandizing thieves who trick the public out of their money. He has very publicly refused to be a part of this perceived thievery by avoiding showing his art in formal art galleries. The shows of his work that he has endorsed and participated in have been unconventional shows in abandoned warehouses and traffic tunnels. 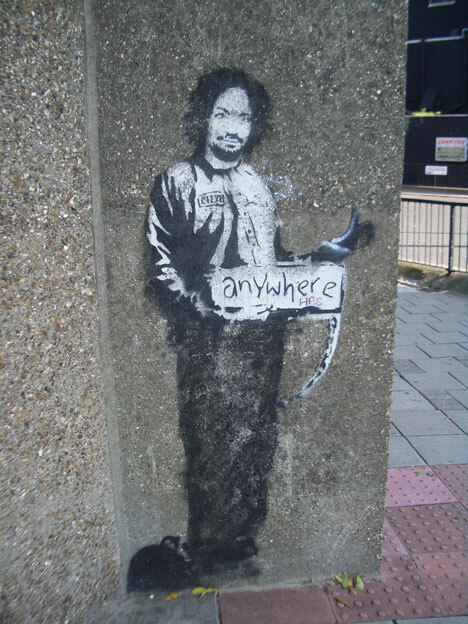 Although there are many Banksy critics who say that today Banksy’s art is valuable precisely because of his name, there is little doubt that he rose to fame based on his art, not his identity. Since he has never revealed his true identity, the notoriety that his art enjoys today is based solely on the message, the method, and the myth of the man. This quote again illustrates the artist’s aversion to embracing the trappings that go along with being a well-known artist. His main concern is making art that people enjoy, rather than becoming so famous that he isn’t able to walk down the street unhindered. 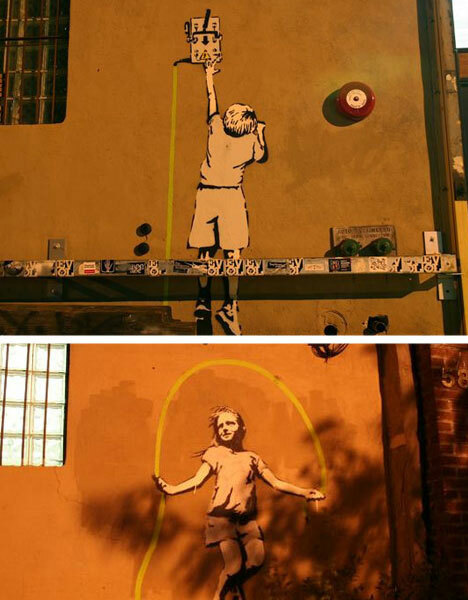 Ever the prankster, Banksy has engaged in a few antics which didn’t go over as well as most others. The above picture was taken at the Glastonbury Music Festival in 2007, when Banksy erected a Stonehenge model made of portable toilets. Although it was most likely all in good fun, the model was built near the “sacred circle” where plastic is banned. This proved to be one of his most unpopular stunts to date. Though judging from the above quote, Banksy doesn’t seem to mind that some people don’t enjoy what he does. Based on his artistic ability, unique style, and cult status, Banksy has been asked to perform various marketing work for pay. He says that he turns nearly everything down, with the exception of a few choice projects like the album art for Blur’s Think Tank. Like so many aspects of Banksy’s career and public life, there is no way to be sure that the quotes attributed to him actually came directly from him. Even those who have interviewed Banksy can’t be entirely sure that they were speaking to the man himself. But that’s how it goes when you try to pin down one of the most elusive public figures ever.